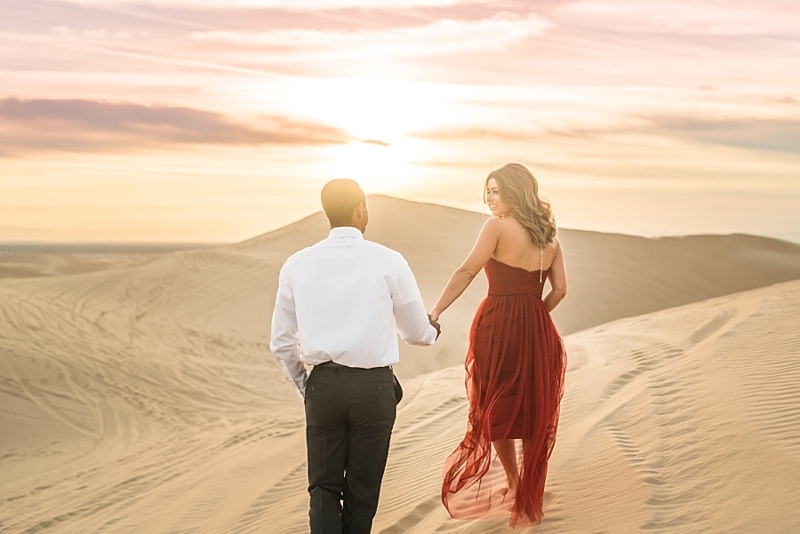 Glamorous style and desert beauty meet with these two lovebirds' time on the Imperial Sand Dunes. 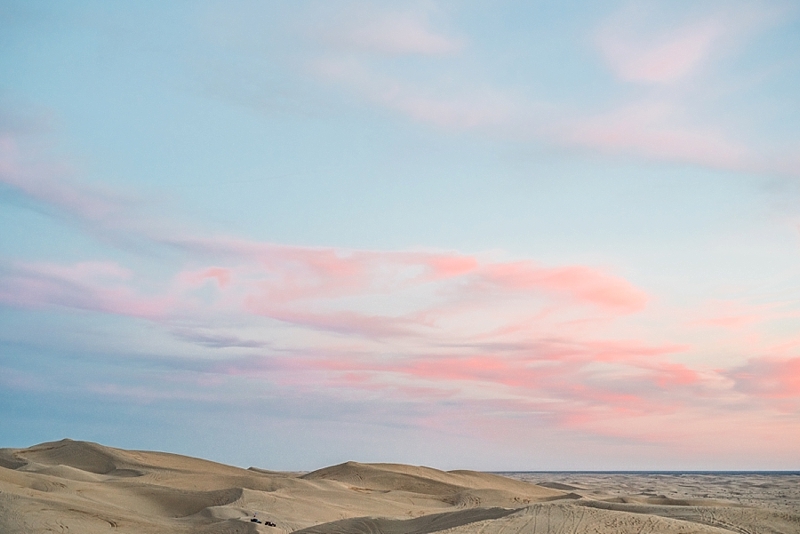 ypically we have visions of the Middle East when we think of endless sand dunes, but nestled in Southern California, the Imperial Dunes, also known as Algodones Dunes, give us those same breathtaking vibes just a little bit closer without the need for a passport. 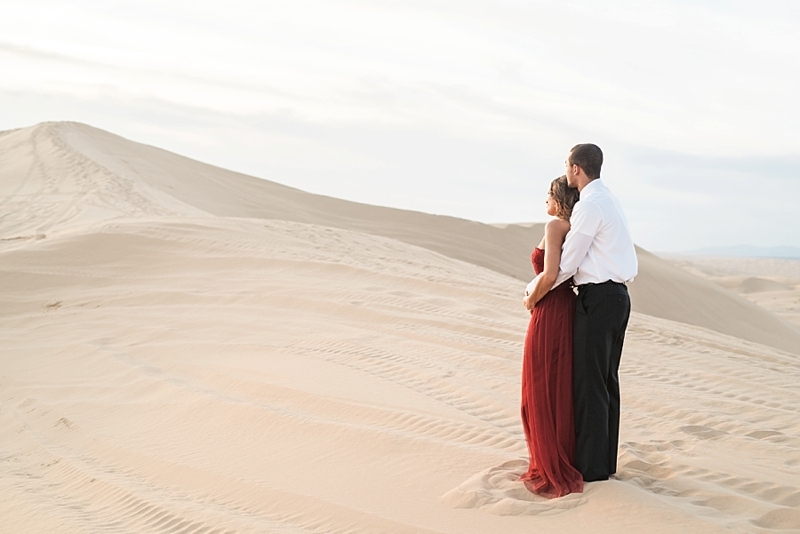 Since 1913, Hollywood has even been drawn to the allure of this American desert beauty. 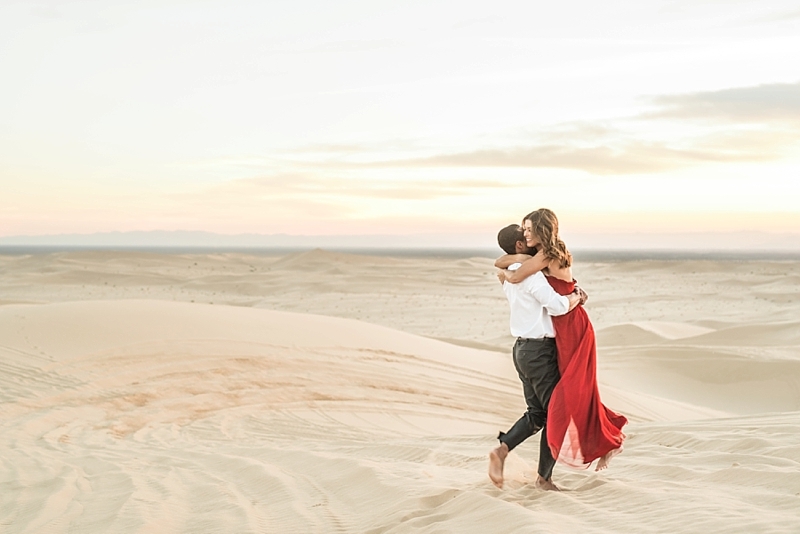 Feature films such as Star Wars' Return of the Jedi, Wayne's World II, The Scorpion King, and Doctor Strange were filmed here, so it's no wonder why it made the perfect backdrop for Hannah and Alex' glamorous destination portrait session with Victoria Johansson Photography. 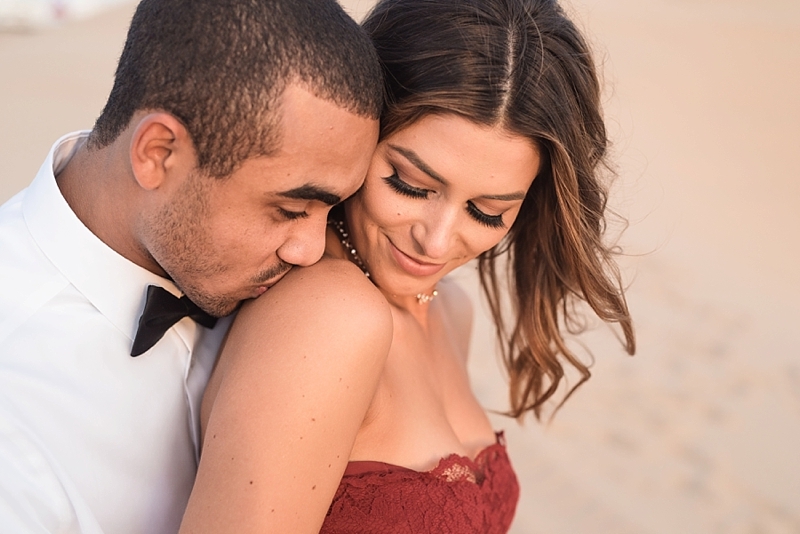 Dressed in an elegant crimson red dress made of tulle and lace and a casual version of black tie dapperness, these two lovebirds made the desert their own personal movie set. 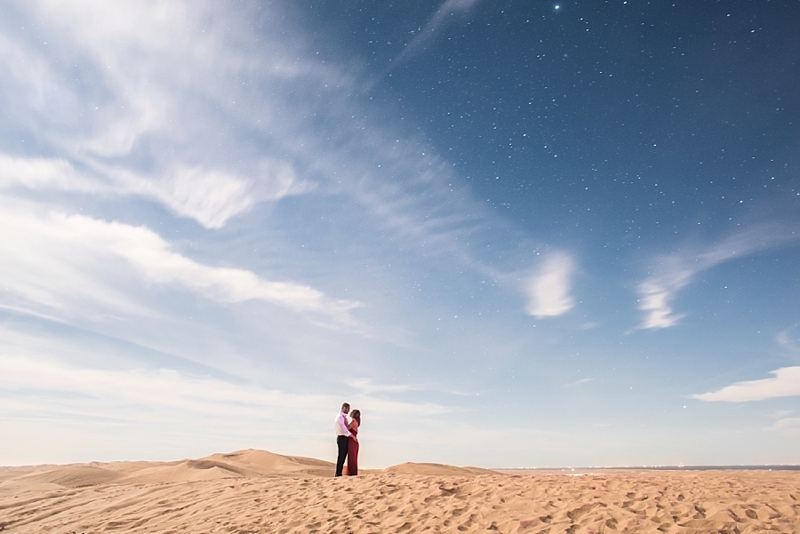 Hand in hand, they danced across the vast landscape and celebrated their relationship and the environment around them.